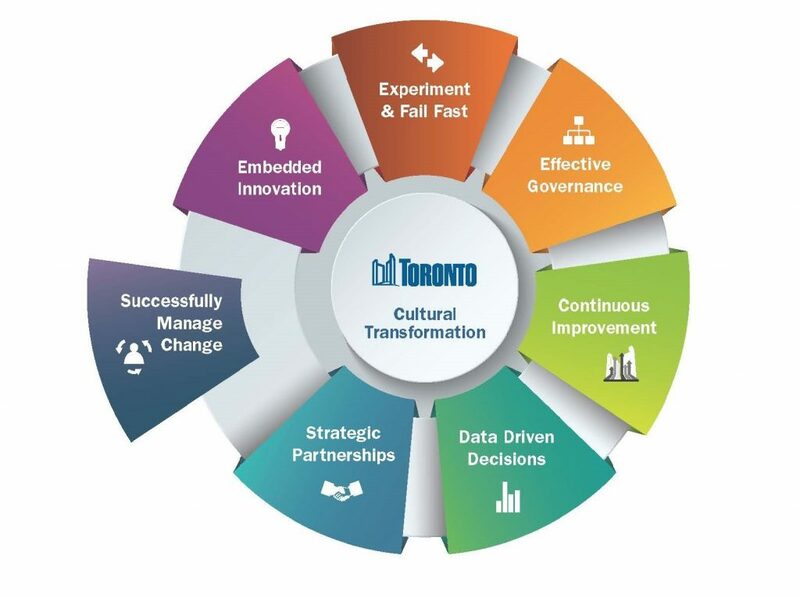 The Change Management Centre is a one-stop shop offering change management services to the City of Toronto and its agencies. Part of the Transformation Office, we are a centre of expertise on leading practice in change management. We provide guidance, support and tools for addressing the human side of organizational changes and the challenges you are facing as you manage change in a complex and constantly evolving organization. There is significant opportunity for us to build and strengthen our capacity and capability to effectively manage and sustain change long-term. The Change Management Centre introduces a new and consistent approach to change at the City and is focused on helping City and agency staff build internal capacity for managing change with the goal of increasing the success of change projects. Enable an organization that embraces transformational change to deliver exceptional public service. A central office that establishes change management practice as a strategic function, setting standards and measures, creating tools and offering training and resources. This central office is the one-stop shop for change management expertise and resources for City divisions and agencies. Organizational change leads dedicated to each City cluster and agency, working closely with leaders to help build change management capacity and capability. These change leads act as advisors/consultants, with a focus on helping to initiate projects through a change management lens, supporting customized training for leaders and project teams and providing oversight to change management consultants working directly on projects. Change management consultants dedicated to big projects and acquired by the City and agencies through regular recruitment processes or the vendor roster.